Microsoft added five new titles to its Backwards Compatibility list this past Friday, including Arkanoid Live and de Blob 2. I mean, I'm sure there are some fans out there clamoring to be able to play those games again, right? Along with those two, Bayonetta was added the list as was Qix++. Of Orcs and Men was also added, though this title is limited to certain regions only (it appears to be just Europe). 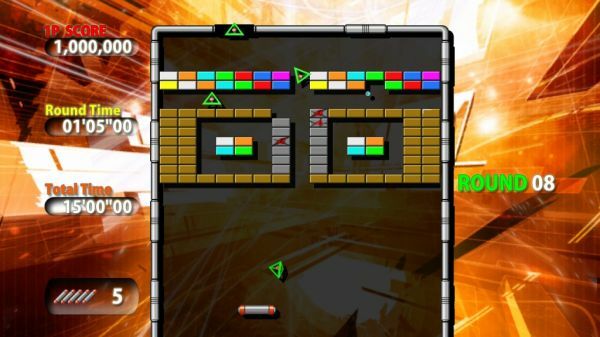 Arkanoid Live was released back in 2009 for XBLA and supports two player co-op locally or online. This revamp of the original title appeared to be taking a page from a few other notable classic arcade remakes, specifically Pacman Championship Edition and Space Invaders Extreme, to bring those games into the modern era. Both players control a paddle and work together to clear puzzle levels. De Blob 2 is the follow-up to the pretty well received de Blob that was only released (for the consoles, at least) for the Wii. In both games, the first player controls the titular character and attempts to bring Prisma City back to life after its color has been drained by the evil INKT Corporation. The second player is relegated to something more of a "helper" role and can only pick up items or blast enemies; they cannot engage in the main gameplay mechanic of painting the city. Page created in 0.7761 seconds.